Is 50 the new 65? When it comes to saving money, it can be. 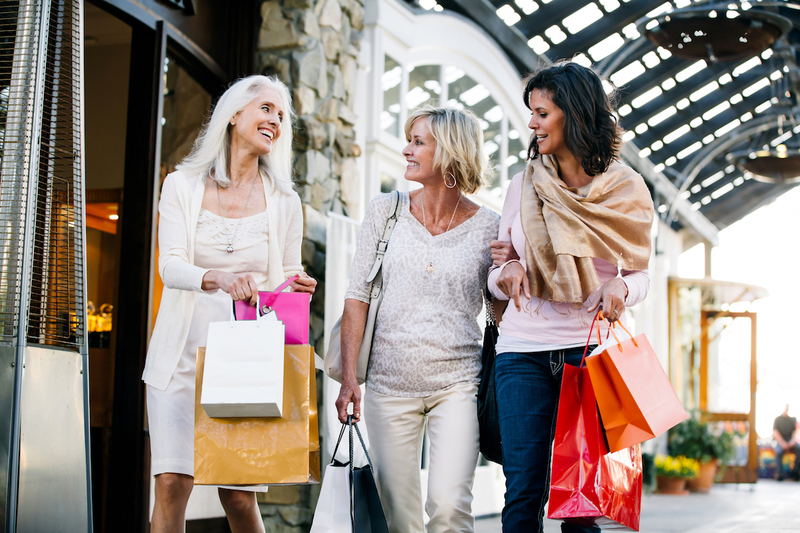 Many companies offer senior discounts on everything from restaurant meals to clothing purchases and more. And a number of them start offering these deals long before you turn the magical senior discount age of 65. Youth has its advantages, and some of us don’t want to be considered “senior” before our time. But when it comes to your budget, why not take advantage of any available discounts for seniors? Don’t let pride or a label come between you and extra cash in your bank account! For some senior discounts, you’ll just need to whip out your photo ID to prove your age. For others, you might need to sign up for a free store membership program; this usually only takes a minute or two. If the discount isn’t offered right away, don’t be shy — ask! Even if a business doesn’t advertise a senior discount, smile and ask anyway. You just might get one. For example, while I was verifying senior discounts for this post, a customer service representative told me his company didn’t have a senior discount but he might be able to get me one anyway. Many businesses are franchises, different locations might offer different discounts or age requirements. You can always call ahead to verify your local location’s policy. And don’t forget to consider all available discounts. Other savings, such as online deals and buy-one, get-one-free specials, could offer bigger savings than the senior discount — or you might be able to stack them with your discount. 1. Kmart: The company’s GoldK program offers up to 20% off prescriptions for members ages 50 and up. 2. Banana Republic: Most locations offer 10% off in-store purchases. 3. Bealls Department Stores: Club 50 Plus members get 20% off their purchases on the first Tuesday of every month at any store. This deal excludes Clinique, Estee Lauder and gift card purchases. The company operates stores in 38 states. 4. Alamo Rent A Car: The company offers 10% off and unlimited mileage at the rental counter at all airport locations, according to an email from the corporate headquarters. 5. IHOP Restaurants: The 55+ menu is about 10% off regular menu prices. 6. Ross: The store offers shoppers ages 55 and up 10% off every Tuesday, staff explained by phone. 7. Walgreens: Get 20% off purchases on the first Tuesday of every month once you enroll in the free Balance Rewards program, staff told us by phone. Sign up in stores or over the phone. 8. Best Western: Seniors ages 55 and up get a minimum of 10% off at hotels and resorts worldwide. You’ll need to prove your age when you check in. 9. Ponderosa Steakhouse: Some locations offer a senior menu, though age requirements can vary. For example, customers ages 55 and up get a free drink and save 10% on all entrees in Kissimmee, Florida, Monday through Saturday from 11:30 a.m. to 4:00 p.m.
10. Kohl’s: Shoppers 60 and up get 15% off every Wednesday. 11. Golden Corral: The senior buffet will save you about 50 cents off regular menu prices, but the real savings come from the early bird special, where guests 60 and up can enjoy the buffet between 11 a.m. and 4 p.m., Monday to Saturday, for only $7.59 — drinks included. 12. Ryan’s Restaurant: The senior buffet price is about 10% off regular menu prices from 2 p.m. to 4 p.m., staff explained by phone. Your meal comes with a beverage. 13. Radisson Hotels: Seniors ages 60 and up enjoy 10% to 15% off best available rates, depending on location, staff explained by phone. 14. Choice Hotels: Senior guests save up to 10% on advance reservations booked by phone. 15. AMC Theaters: Ticket prices and discounts vary by location, staff explained by phone. For example, seniors save about 8% in Destin, Florida, depending on showtimes. 16. Regal Entertainment Group: Ticket prices and discounts vary per location. For example, guests 60 and up save 8% to 10% in Miami, depending on the time of the show. 17. Cici’s Pizza: “Many of our stores do offer discounts,” states the company’s website, though age requirement may vary per location. For example, seniors ages 62 and up save $3 on their orders in Orlando, Florida. AARP membership can be an affordable way for the 50-and-up group to save on all sorts of experiences. Membership costs $16 a year, though AARP occasionally offers a half-price yearly membership. Many businesses accept AARP, and for quite a few, AARP membership is the only way to get a senior discount. 18. Denny’s: AARP members get 15% off menu prices at all times. 19. Target Optical: AARP members save up to 60% on eye exams and 30% on eyeglasses. Your Turn: Have you scored any senior discounts before turning 65? What are your favorites? Mary Sincovec is the author of published fiction and a lifelong writer. She has been a software quality assurance engineer, an ESL/EFL instructor, and currently tutors students in academic writing. A love of writing and helping people prompted her to contribute to The Penny Hoarder.